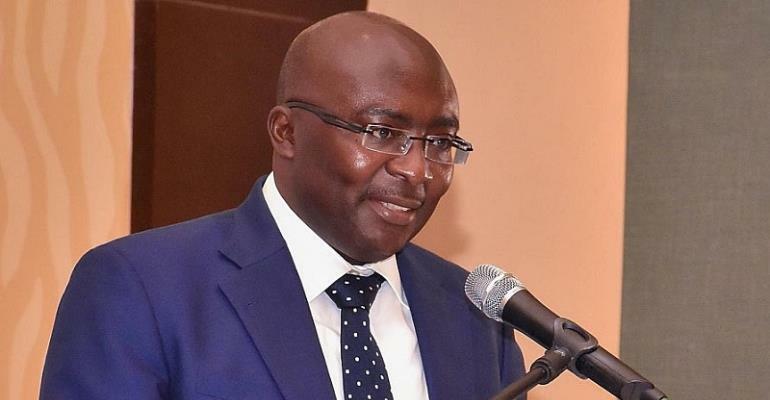 Vice-President Dr. Mahamudu Bawumia has charged the Auditor-General to work with the Special Prosecutor Martin Amidu who has been appointed to fight political corruption. The Auditor-General had expressed hope that he will be granted similar prosecutorial powers given the Special Prosecutor. He had disallowed a whopping 5.4 billion cedis that would have been fraudulently paid to contractors. Daniel Dormelevo wanted prosecutorial powers to enable him to address alarming levels of impunity and corruption within the public service. Apart from the amounts he disallowed, previous audit reports have indicted officials for embezzlement and mismanagement. At the 2018 Accountability Week organised by the Auditor Service, the Vice-President may have dropped the hint that Dormelevo’s request to the Attorney-General for powers of prosecution will be declined. Dr. Mahamudu Bawumia did not speak to the request directly but charged Daniel Domelevo to partner the Special Prosecutor who is due to start work this week. Martin Amidu, Ghana’s first Special Prosecutor was sworn into office last week and has promised to vigorously fight all acts of corruption. Quoting a landmark Supreme Court judgment in OccupyGhana vs Attorney-General , the Vice-President charged the Auditor-General to continue surcharging public officials indicted in the Auditor-General reports. “We believe the time has come where it is necessary to strengthen constitutional bodies …to protect the public purse,” he said. The Vice-President described corruption as a “destroyer of nation-building” and expressed government’s commitment to fighting the canker without fear or favour. “It is not a partisan matter”, he told the gathering and assured the Auditor-General, he will receive every possible support from the government.